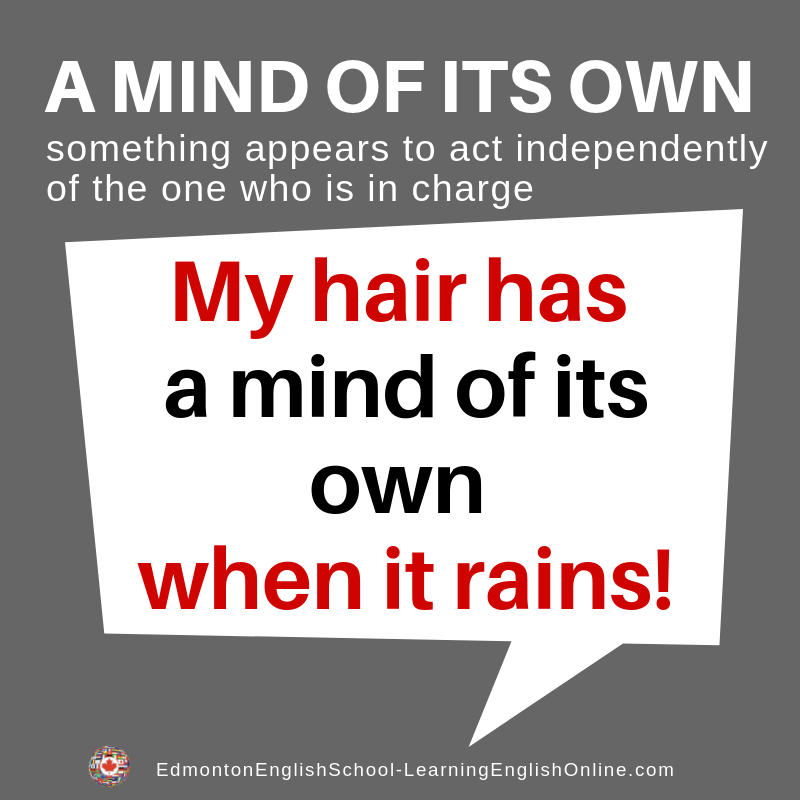 (to have) A MIND OF ITS OWN? This is used to say that something (a machine, or piece of equipment, for example) does not work the way you want it to. It works as if it is controlling itself. 1. This printer never seems to do what I ask it to do. It is as though it has a mind of its own! 2. This grocery shopping cart seems to have a mind of its own!